At Ink Technologies we are obviously in the ink business, but what good is ink without the printer? Printer manufacturers have made steady progress over the last decade to provide efficient, reliable, and user-friendly machines. One of the nation’s leading printer brands is Canon. When many consumers think of Canon they think of cameras and video recorders. For many years Canon has been the brand of choice for experts in digital imaging. Canon has worked to enhance the way the world captures life around them through still and video image processing. As a result of their experience and technological advancements in these industries, Canon has helped elevate the standard in the business and home printing markets. We carry Canon ink cartridges because the popularity of some of their recent models. 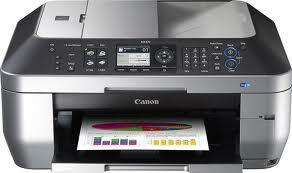 In particular, the Canon MX870 has been one of America’s favorite printers for the last several years. The built in Wi-Fi, versatile features, and handy LCD display make this printer one of the more flexible and user friendly printers to hit the market. The ease of use and great print quality have helped make this one of the highest selling printers over the last several years. Since the Canon MX870 release, it has continued to grow in use and popularity, becoming one of the most ubiquitous printers available on the market today. Each month at Ink Technologies we fill hundreds of orders for Canon MX870 Ink Cartridges and ship them all over the country. By virtue of the fact that we ship so much of this Canon ink it is safe to say that these little printers are dependable and reliable. This is a testament of the quality that we have come to expect from Canon. In some independent tests this particular model has beat out printers made by HP, Kodak and other top brands. The Canon MX870 has proved to be a workhorse in homes and small businesses across the nation. As it continues to perform we will continue to provide businesses and consumers a simple way to buy Canon Ink Cartridges online. As a popular model we will continue to keep this ink in stock and provide special savings and coupons to our customers. Sign up for the rewards program and connect with us through email or your favorite social platform to learn more.